Consider this where to eat in Sydney guide for visitors the Ultimate Sydney Food and Drink Bucket list. 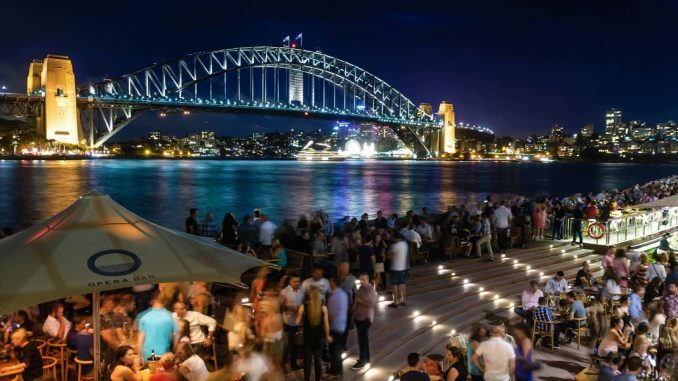 The list was created by polling the members of the Sydney Expert Facebook community for their suggestions on the best places for visitors to eat and drink in Sydney. We have included lots of places locals eat and hope it helps you to find the best food Sydney has to offer. Apologies in advance for the photo quality in some of these, the main reason I am not a food blogger is I take terrible food photos. That or I forget entirely to snap one before I eat! And please if you think we have missed something essential leave us a comment or head over to our Facebook group and tell us all about it. *This posts may contain affiliate links, we only recommend services we are confident are of high quality. Eat the local fauna – Kangaroo, emu or crocodile. Starting this list with dessert might seem odd, but this topic was the one that fueled the most discussion in the group. Apparently finding the best gelato in Sydney is important! 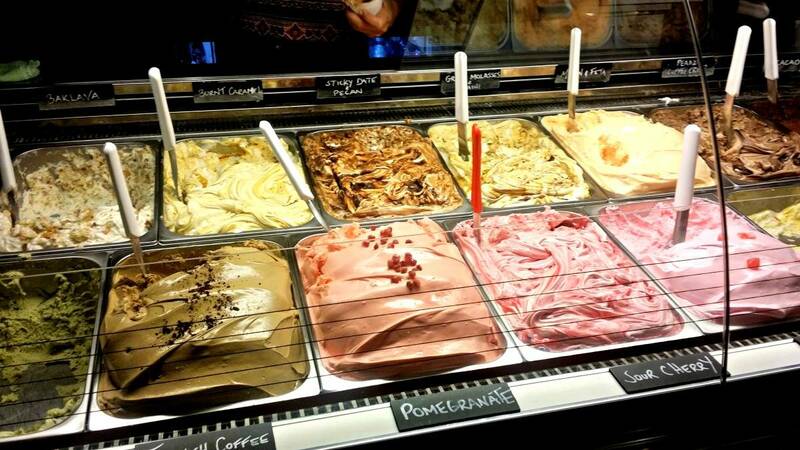 Gelato Messina comes up with new flavour combinations almost every week! Italy may be the home of Gelato but Sydney has plenty of great gelati, and everyone has an opinion. One contender for the cities best is the local favourite Gelato Messina. When these guys opened over a decade ago the lines stretched several hundred meters most nights and they often still do. With a huge range of really unusual and truly decadent flavour combinations, it was easy to see why. There are 35 regular flavours and 5 specials each week. A recent option was Pavolva – vanilla gelato with raspberry and passionfruit puree and baked meringue. These days there are multiple outlets and queues have settled down a bit. Is it the best? I am not sure but I highly recommend you try my all-time favourite ice-cream, the pandan and coconut and see what you think. Rivareno Gelato had many recommendations for its traditional style gelato. Two outlets, one in Barangaroo and the other in Darlinghurst mean you are likely to pass one on your travels so be sure to stop in and see what you think. In Sydney’s inner-west you will find Cow and Moon they took out an international award in Italy for their almond affogato. They do a great range of traditional style and their pistachio is on top of my list for the best in the city. If you do make it to the inner-west I also suggest you try the Turkish ice cream shop, Hakiki on the city end of Enmore Road. They have a bunch of middle eastern inspired flavours like sour cherry, pomegranate, and vanilla and baklava which is an excellent option for those with a sweet tooth. 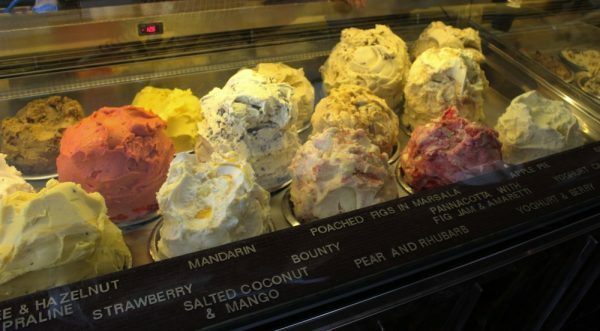 The gelato flavours at Hakiki feature lots of middle eastern favourites. 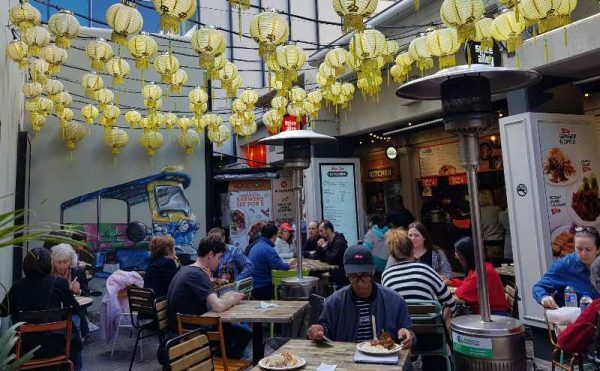 Just south of the CBD in Chippendale Spice Alley is a Sydney take on an Asian hawker centre. Part of the Central Park development just south of Central Station the alley is made up of 6 stalls and a few cafes set around lantern strung courtyards. Grab a few plates from the Malaysian, Thai, Japanese or Chinese offerings, find a chair and enjoy! The stalls here are cashless so make sure you bring a card with you. 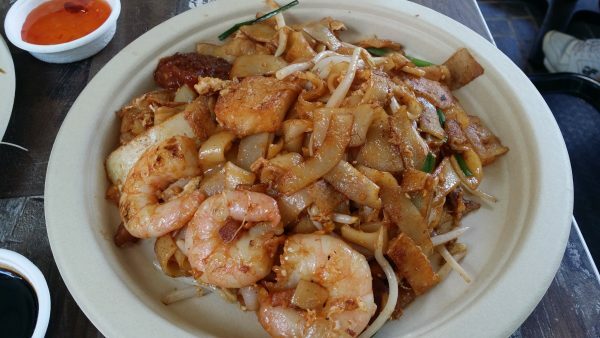 The Char Kway Teow at Old Jim Kee is my favourite dish here but I also love the roti and dumplings. The area is BYO with no charge if you bring your own cups but you can buy cups for 50c from the cashier’s desk. Try to visit mid-week or a little before the lunch rush for ease of getting a seat. 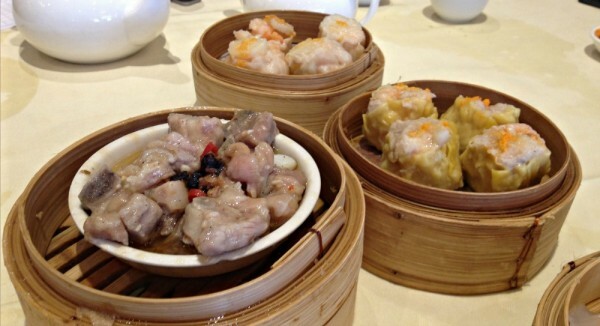 Yum Cha, more commonly known as Dim Sum in some parts of the world, is a very popular weekend breakfast choice in Sydney. There are dozens of good, cheap places in suburbs like Ashfield, Chatswood, Burwood and Hurstville to taste these delicious morsels but for visitors, it is easiest to stick to the CBD. The Palace in Piccadilly Shopping Centre is on the pricey side for yum char, but it is in my top three offerings in Sydney. The service is usually good, something often lacking yum cha restaurants, and they always have a good variety of dishes. Be sure to try the scallop Sui Mai, and the chicken feet, ( I think they do the best version in the city) – they taste so much better than they sound so give them a try if you have not before. Another must-eat here are the egg tarts; they are the best I have had. Yum Cha is served 11 am – 3 pm. Expect to face a queue if you arrive after 11.30, but they usually don’t take too long. Another option and Sydney local favourite is Marigold, the first restaurant in the city to serve yum cha when it opened back in the 1980s. Marigold is old school Cantonese food- a little cheaper in my experience and plenty of room so shorter queues than the Palace. Marigold do Yum Cha from 10 am till 3 pm so is a great choice if you wake hungry. If you want a special occasion option its hard to go past Mr Wong, the 1920’s Shanghai styling, jazz playlist in the background, interesting cocktails (and mocktails) and a vast menu, is the food better than the choices above? I am still undecided, but it’s a place that the ambience is fantastic and the experience unique. If you have been checking out Sydney on Instagram, you have likely come across the Instafamous watermelon cake. While the watermelon cake might be the best-known, there are many other delicious things to eat at Black Star; I think the lychee and raspberry cake is also damn fine. Along with the Instagram worthy cakes, they do excellent pastries, especially the meat pies and sausage rolls. The original store is in Newtown, but there is a much bigger cafe in Rosebery (once dangerously close to my apartment!) and a small counter in the Kinokuniya bookstore opposite the Town Hall on George Street if time is short. Lorraine’s Patisserie is hidden down a back alley off George Street in Wynyard near Angel Place. The standouts here are the super light, fluffy cheesecake which features a gingerbread base and the chocolate cloud cake. If you are keen to try an Aussie lamington, this is a good option. 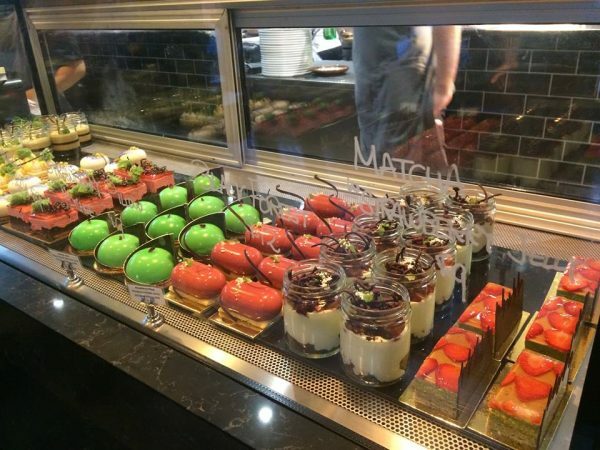 The desserts are as pretty as they are delicious at Koi Dessert Bar. They are the creations of Masterchef alumni the Poernomo brothers. Try to visit on a weekday to avoid the crowds. Try the Moss Jar dessert, filled with Caramelised white choc crémeux pistachio mousse, caramel jelly, matcha soil, apple jelly, pistachio microsponge and dill. 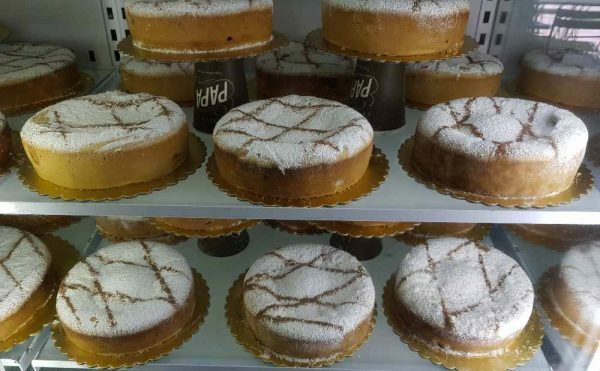 Go old school with the traditional Italian Ricotta cake, Pasticceria Papa in Bondi. You will find it below street level in the Adina Bondi Hotel building. These traditional Italian ricotta cakes also come in single serve sizes. 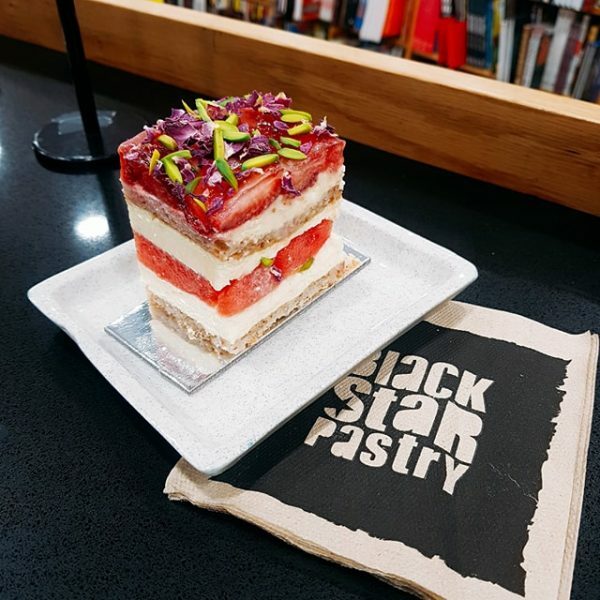 Black Star Pastry – 277 Australia St Newtown. Kinokuniya Book Store Black Star counter – Level 2, 500 George Street Sydney. 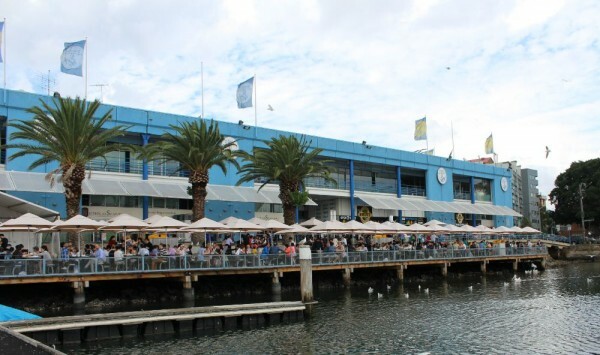 Meat District Co on King Street Wharf is very popular with Sydney Expert readers for their Kangaroo; I have not personally tried it because I am not a fan of roo at all, but it has received rave reviews from some of our members. The Kangaroo is chargrilled and served rare w. Truffle mash potato w. Jack Daniels sauce. They also have a crocodile burger on offer. They also offer a happy hour from 3-6pm with $5 beer and wine and $9 cocktails. 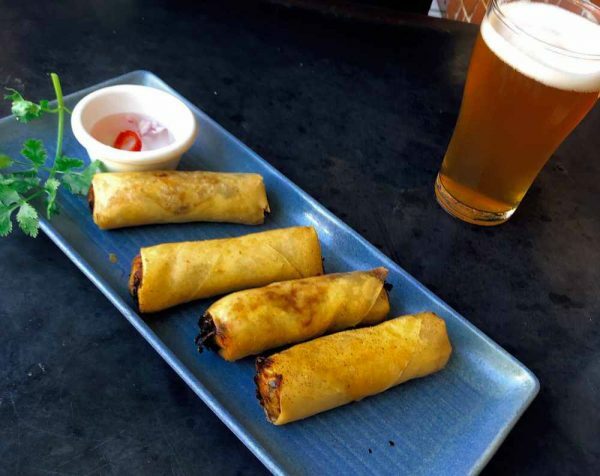 These crocodile spring rolls were crispy and delicious but we couldn’t taste croc. Touristy yes, but if you fancy feasting on Skippy or one of his friends rather than just snapping a photo at the zoo, then the Australian Heritage Hotel is probably a good stop. Kangaroo Burgers, crocodile spring rolls, emu or kangaroo pizza there is plenty to choose from here? This menu is more gimmick than gourmet and perfect for anyone not wanting anything to confronting. The old school Aussie pub in the Rocks also offers a huge range of local beers and tasting flights. Another popular way to try Kangaroo is in a burger. Moo Burgers at Manly and Bondi have a budget-friendly $15 Kangaroo burger. Craft brewing is at the height of popularity across the world, and Sydney is undoubtedly on board too. 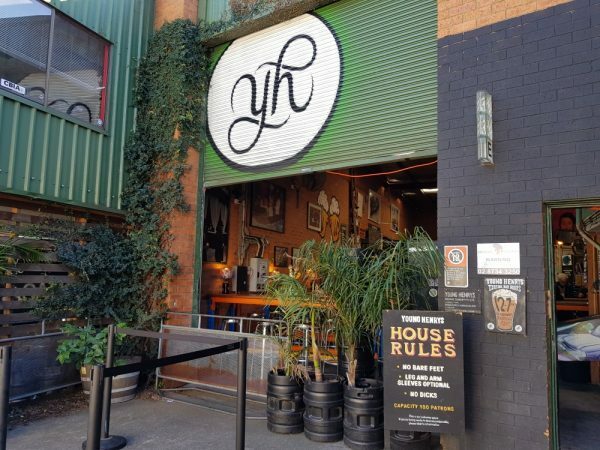 There are a lot of great options, but one that I frequent most is Young Henry’s in Enmore/Newtown. This spot is only opened until 7 pm so if you fancy trying their brews in the evening head to the Fortune of War or the Glenmore in the Rocks. Young Henry’s also offer brewery tours on weekends. Another brewery we really like visiting is The Grifter. Their large tasting room never feels too crowded. They also have a range of non-alcoholic brewed soft drinks so everyone in the group can join in even if they are not beer drinkers. Tasting trays of 4 small glasses is a great way to try some of the 12 brews on tap. Friday evenings and weekends food trucks provide sustenance, often vegetarian and vegan-friendly and there is a great pub next door if you fancy something else. Wayward Brewing in Camperdown has 24 beers on tap and a cellar bar that is about an interesting as they get with a very eclectic collection of items displayed, providing perfect talking points. Food trucks are in residence from Thursday to Sunday, and there is live music on Sunday afternoons. If you fancy checking out a few here, more breweries is a great DIY tour put together by Concrete Playground. 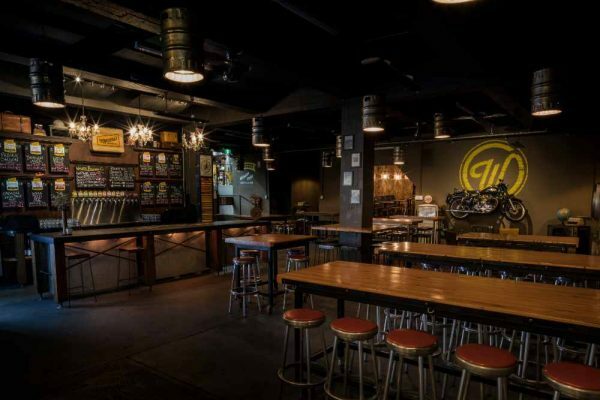 The Rocks Pub Tour – Visit 4 of the cities oldest pubs on this tour in The Rocks, includes local brews at each stop. 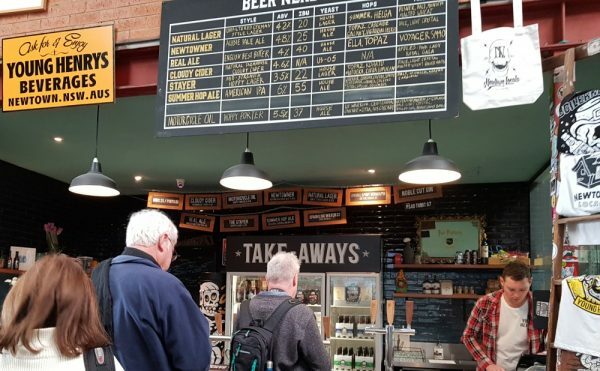 Northern Beaches Breweries – visit Sydney’s beautiful Northern beaches and tour and taste at four breweries. I love a good food tour when I am travelling, and I have sampled several great ones in Sydney including 3 of TV food journalist Maeve O Meara’s Gourmet Safari tours. These tours have been running for 20 years this year, and there are several to choose from depending on your taste. 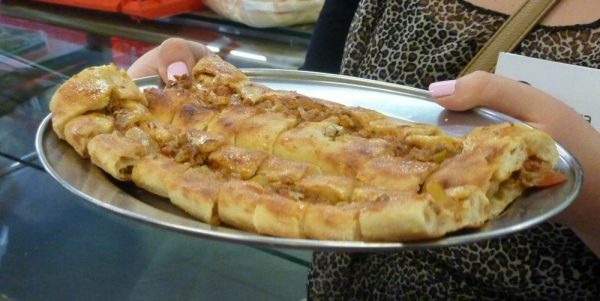 Taste Cultural Food Tours have eight tours that cover a variety of suburbs and highlight the cuisines that have become popular in Sydney over the years. Learn about the history of the area, taste plenty of good food and discover facts about Aussie culture. Tours last between 3-6 hours. Options include the Chinatown food tour or a tour that explores Australian Cuisine and heads up the Parramatta River. The traditions Aussie meat pie featured minced beef in a nice dark gravy. These days there are as many variations on this as there are letters in the alphabet. I am still partial to a good mince pie, but a lamb shank pie will win over me any day. And while the filling is important, the pastry is equally so. It should be flaky and light and cooked till it has a nice golden tinge to it. So let’s check out some good contenders for the cities top pies. 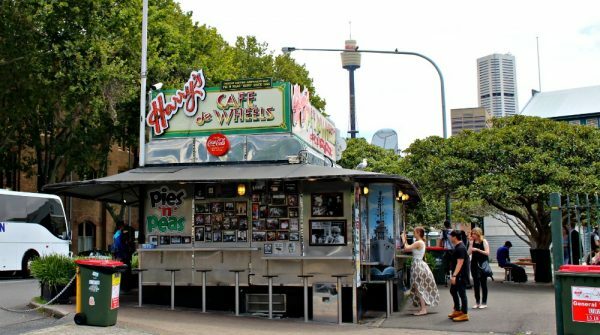 Sydney’s original food truck Harry’s has been operating at its original location on Woolloomooloo wharf since the 1930s. The star of the menu here is the Tiger Pie a beef pie with mashed potatoes, mashed peas and gravy, also known as a pie floater. 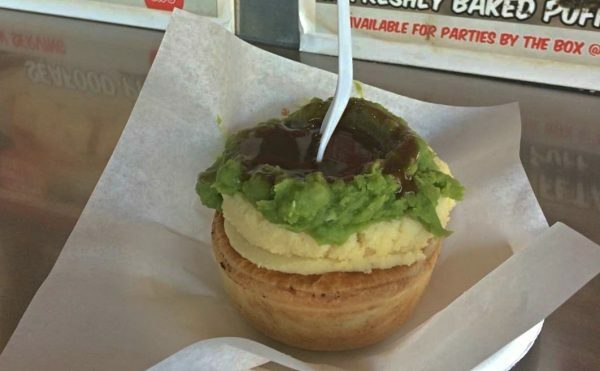 This is an old school pie, the pastry is not that flaky, but the experience of eating a pie and peas is very Australian and can’t be left off the list. For a couple of years, we lived across the road from the Bourke St Bakery at Alexandria; this was not a good thing lol! We sampled a few too many pastries on lazy Saturday afternoons. There are usually three meat pie options here, the beef brisket with red wine, a chicken and sweet potato and beef, beer and bacon. While all three are well done, the brisket is the stand out for me and deserves a place on the best pie list. Bourke Street’s pies are among my favourite in the city if you have room check out the pork and fennel sausage roll while you are here. Finally, Infinity Bakery in Paddington and Darlinghurst offers some of the best pastry in the city for me. The standout in their pie collection is the chicken and mushroom. Harrys Cafe d Wheels – Woolloomooloo for the original which is an integral part of the experience here. Bourke Street Bakery – lots of stores but Barangaroo and Surry Hills most logical for visitors. While it may well kill you fried chicken is the secret guilty pleasure of many of us. In recent years a bunch of speciality chicken shops have opened around the country. Belles, a chain which began in Melbourne, has taken Sydney by storm in the last year. We recently visited and tried the Bucket, 16 wings with four southern sides. You can choose the intensity of the marinade with 4 version on offer from mild to very hot. Best enjoyed with friends so you can sample the full menu. Thirsty Bird in Potts Point is my personal favourite. 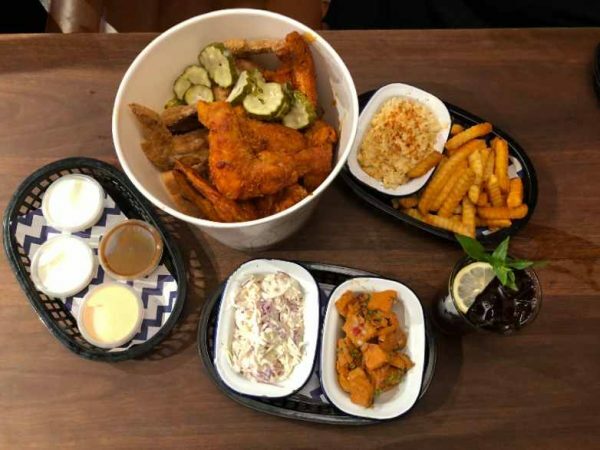 Juicy southern fried chicken and burgers at a reasonable price with lots of great sides on offer like potato gems, waffle fries and coleslaw. 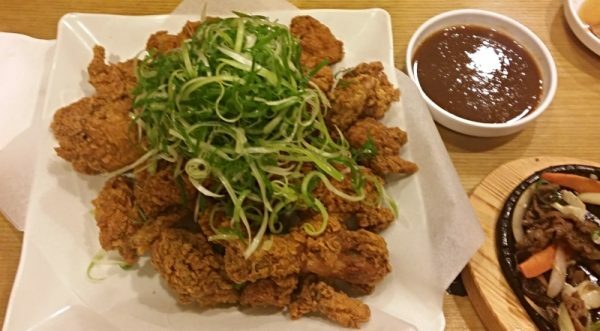 Korean fried chicken is often served with crunchy spring onions. The inner-west of Sydney is home to a whole bunch of fantastic craft breweries our distilleries are a little more spread out. You could easily walk straight past Poor Toms and be none the wiser. 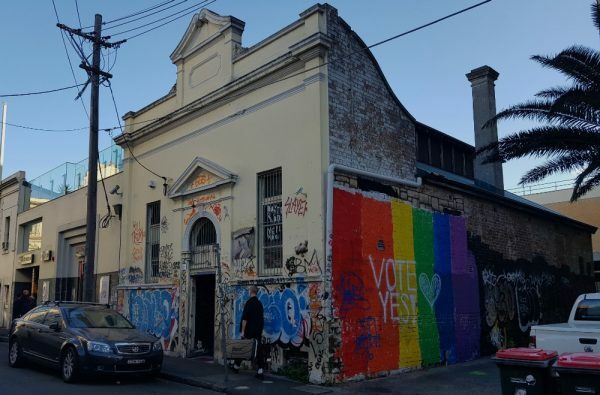 Located in a nondescript red brick building in the industrial landscape of Marrickville you best take note of the street number because this is a bar that gin lovers should not miss. The microdistillery began as a result of a hugely successful crowdfunding campaign and four years later has a cellar door and bar selling three different gins with unique Australian flavours. 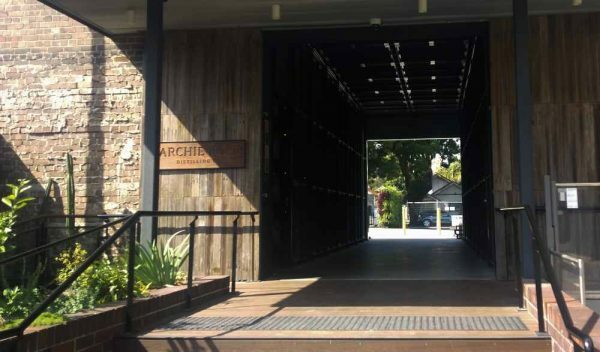 Archie Rose popped up a short walk from home in 2014 and has gone from strength to strength winning multiple international awards for their spirits. With handcrafted gin, vodka and whisky on offer, a few hours on a tour or in the tasting room is time well spent for spirit lovers. Tour the distillery with four tastings for just $30. If you prefer you can enjoy well-priced cocktails in the bar. Be sure to try the signature old fashioned, served with an Aussie twist, lemon myrtle and orange bitters. I was first attracted to Manly Spirit Co. because of their beautiful packaging, but I was won over because of the great tasting gins. The point of difference with their gin is the Australian marine botanicals, things like sea parsley and sea lettuce, who knew these ingredients were even a thing! I am particularly partial to their citrus gin which features lemon myrtle and Meyer lemon. Head here for a tour and tasting for under $30. They also make vodka, whiskey and limoncello and coffee liqueurs. We may not have perfected cooking burgers to the perfect medium rare consistency thanks to our strict food laws, but you can still get a great burger in Sydney. There is a Facebook group, Fatties Burger Appreciation Society, dedicated to hunting down and recording the best finds across the city. Bar Luca just a few minutes walk from Circular Quay is the home of the Blame Canada burger, something that should not be attempted without the support of good friends. It’s simply too much goodness on one plate if you ask me but in saying that it’s perfect to be shared! A 200g wagyu beef pattie, American cheddar, maple glazed streaky bacon and maple aioli and don’t forget the poutine! Mary’s lacks a bold sign but is well known by locals so ask if you can’t find it. Finally, Bare Grill at La Perouse never disappoints. The burgers here are a perfect reward for finishing the Henry Head walking track. With 16 burgers to choose from, there is something for everyone. Try the Aussie outback with beetroot and egg added for a real Aussie experience. Vegetarians and Vegans might like to check out Soul Burger, the people that pioneered plant-based burgers in Sydney. 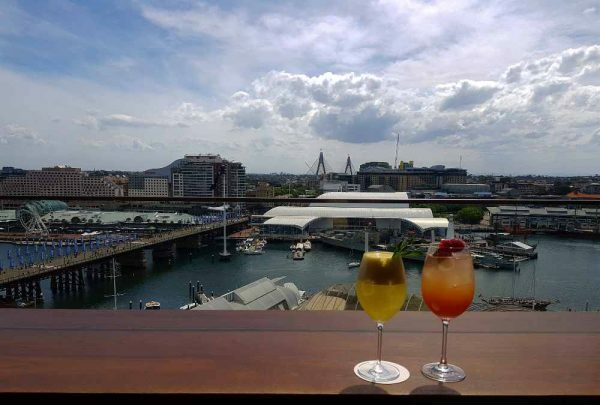 There are a bunch of good rooftop options in Sydney so we have chosen five that will give you very different experiences. 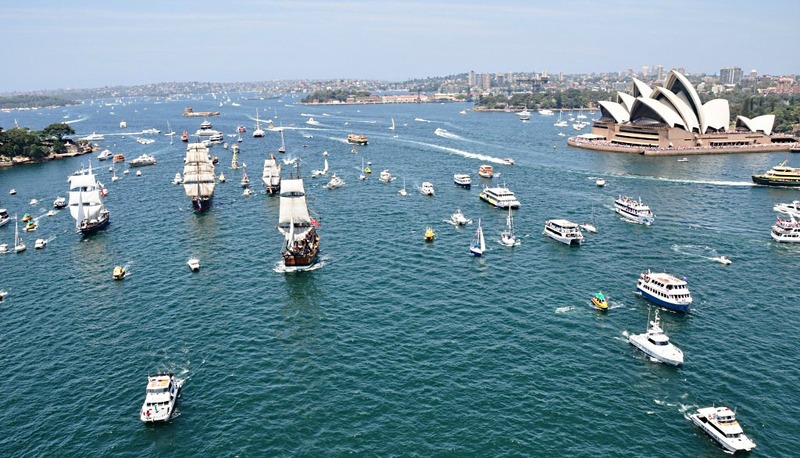 The harbour, both the iconic and the slightly less western views, a beach option and a cityscape offering. One of the most iconic nighttime harbour shots can be snapped from the Bar Blu, on level 36 of the Shangri La hotel. Technically not a rooftop bar at all but who cares about technicalities with a view like this. I have to be honest the service up here can be pretty average, and it costs a bomb, but if you want a perfect Instagram shot with your drink, this is the spot to come. Head here early to midweek at sunset for the best experience. Next and one of my favourites is the Henry Deane located at the top of the Palisades Hotel. This beautifully restored pub sits on the hill where The Rocks meet Barangaroo and offer 360-degree views of the city, west to Balmain and the Parramatta River and east to the iconic duo we all know and love. Along with the great views, the share plates and cocktails up here are excellent. One big tip – don’t visit on the weekend. It’s just too crowded to be fun. This bar is a great spot to catch a Sydney sunset; early midweek is best. For a change of pace and to reward yourself for completing the Bondi to Coogee walk head to the Coogee Pavillion. The rooftop bar is popular with locals and visitors and has fantastic views over the Pacific. Mr Crackles is the sort of place where you could quickly develop an addition. Their pork rolls are filled with succulent and perfectly roasted meat, fresh Vietnamese style salad and topped with crunchy crackling. If you are not a bread lover, you can also buy the pork by the gram. These rolls are wonderful anytime but are the perfect late night eat wit4 am 4 am closing time on Friday and Sat night. They also make a great hangover cure! 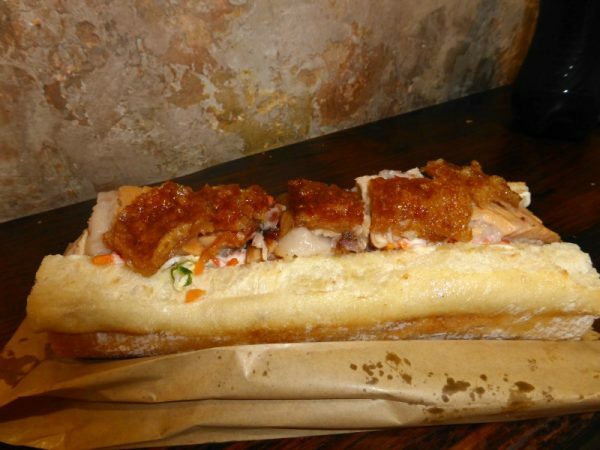 If you are a lover of the Vietnamese favourite banh mi, Marrickville Pork Roll should be on your list for a lunchtime stop. Along with being a total bargain at only $5.50 this roll is full of goodness. Crunchy bread rolls that are soft and fluffy inside, perfectly pickled carrots and fresh veggies, smooth mayo, tasty pate and your choice of pork or chicken to finish it off. Add some chilli if you are brave. The original outlet in Marrickville is the place to go for the full menu, but the new shopfront at Steam Mill Lane is almost as good and perfect for visitors. Sydney has a surprisingly large number of Malaysian restaurants, and many of them are excellent. If you have not tried Malaysia food before this is as good a place as any to get an authentic Malaysia meal. My current favourite is Ho Jiak in Haymarket, right opposite Paddys. There is an extensive menu here, and after several visits, we have managed to taste most of it. My two favourite dishes are the Tau Eu Bak, braised slow cooked pork belly in soy sauce, the Belacan Kangkung, stir-fried greens with shrimp paste & chilli and the Char Koay Teow. The staff are really friendly and if you are not sure what to order they will help you based on your taste. If you want to sample some great Malaysian desserts, then I suggest Mamak in Goulburn St. 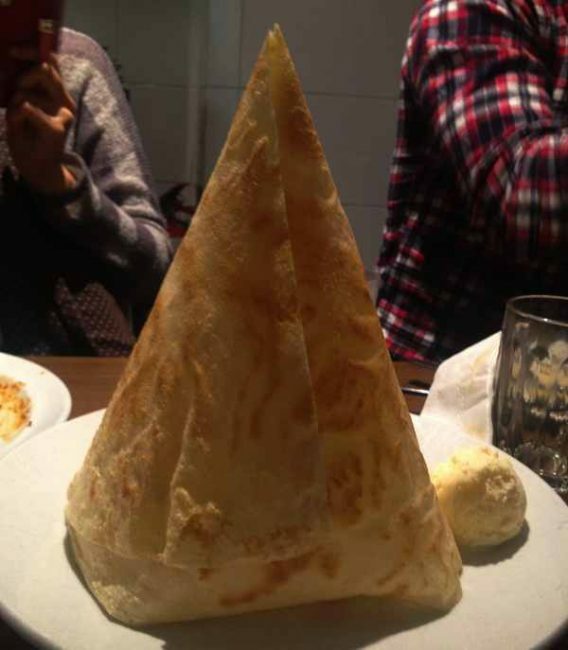 The regular menu is great, but for me, the fun starts at dessert. The sweet roti dishes like roti tisu, are paper thin and delicious, the Ice Kacang with red beans, sweetened condensed milk and shaved ice is an excellent introduction to Asian desserts. Finally, my favourite is the Cendol, noodles made with Pandan leaves and served with coconut milk and ice. If Laksa is more you thing the ever popular Malay Chinese Takeaway has been serving one of the cities best versions for 30 years and still has a queue every lunchtime. Arrive early before the midday rush, and you may find this is the best $12 lunch in the city. Oysters nights, every Wed and Thursday at The Morrison are a great way to sample some of the cities best for only $1.50 each. The full menu features over 30 varieties of Australian Oysters and has plenty of options for the non-seafood lover in your group. You will find the bar just a short walk up from Circular Quay. Eating fish and chips by the harbour The best fish and chips I have had in recent years is at Bottom of the Harbour Seafoods at Balmoral Beach. We usually reward ourselves with lunch here after completing the Taronga to Balmoral walk. The menu is varied so you can choose to be healthy and stick to grilled fish and salads or indulge on Charlie’s favourite, potato scallops! If you would like a hands-on Sydney seafood experience, then check out these Sydney Fish Market cooking lessons. The lessons, held at the Fish Market, run for 3-4 hours and include a demonstration and hands-on class as well as a meal and a glass of wine to finish. You learn so much about seafood in the process and get an apron to take home as a souvenir. This class is loads of fun. Head over to our Facebook group and ask our local experts where they are eating these days. You can also search the group and find a bunch of tips we have shared. I absolutely love this post and wish I had it before I went to Sydney. I did try kangaroo meat though so at least I got something write. I also really liked Lentil As Anything in Newtown, a pay it forward restaurant, with a vegan menu. I am not vegan but the food was so good, and the concept, of course is great. Lentil as anything is great! Glad you found it. Right, I am now officially on the hunt for tickets to come and eat my way through Sydney. Thanks for the recommendations! As a Sydney girl myself, I have to say you absolutely nailed it with so many of my faves on there! I am so glad Mary’s got a mention! Hard to beat a Mary’s burger if you ask me Emma! Love this post, have saved it for when I make it to Australia, one day! That cake looks amazing – thank you for sharing! The cake is my favourite ever. Just eat it fairly quickly – it gets soggy if you leave it too long.